This is called "Pacific Northwest". It features animals that are endangered. 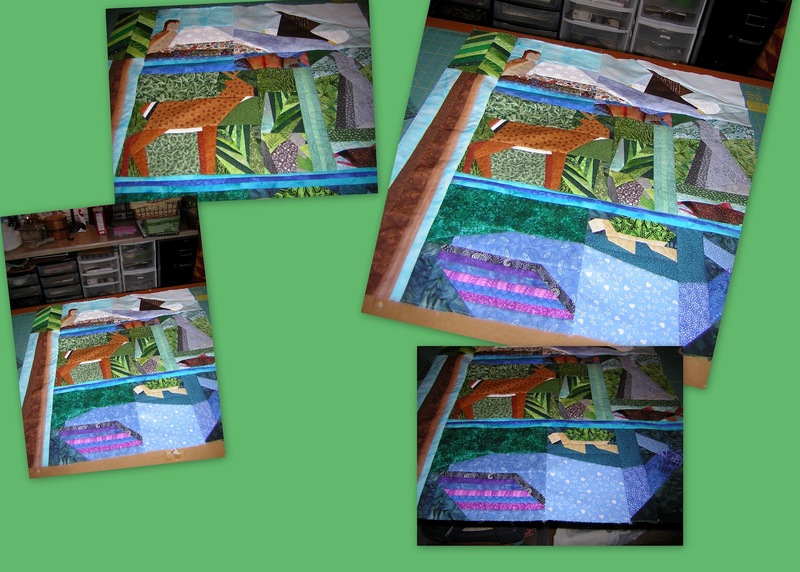 This pattern can be found in Quiltmaker's All-Time Favorites Winter '05 magazine. It is one I have been itching to make for years and have enjoyed seeing it come to life. It was originally made to be a wall hanging so to be able to make it large enough to be a crib quilt I think I will be adding a row of hearts to the top and bottom before adding the finishing borders. I love all the bright colors. I will add a new picture as I add the hearts and borders.